Named after the Akoya pearl, these sleek and modern "sticks" are a first for JB. I like the delicate look and sturdy feel of these earrings. I like their uniqueness and once I put them in correctly ; ) they look beautiful. Thank you! Nice “alternative”-like earrings with a dainty pearl. I love Jenny Bird pieces. They exude elegance! Order arrived incredibly quickly. Earrings look great and my wife loves them! 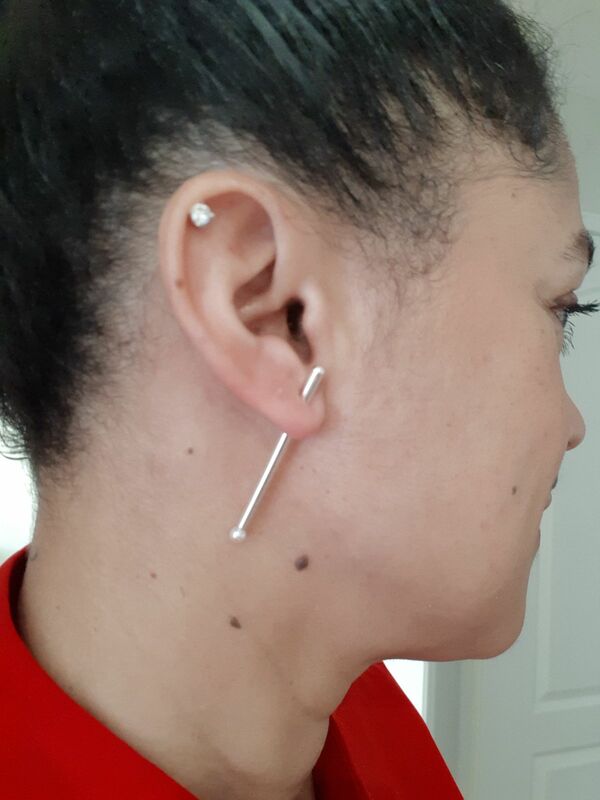 These earrings are extremely light weight, which is crucial for me as I have a torn ear lobe (if that makes any sense🙃). They work well with any outfit, adding a subtle statement to anything I wear. They are so unique. I love them! Really co temporary . Very unique style. Great gift. Thirty something professional loved.